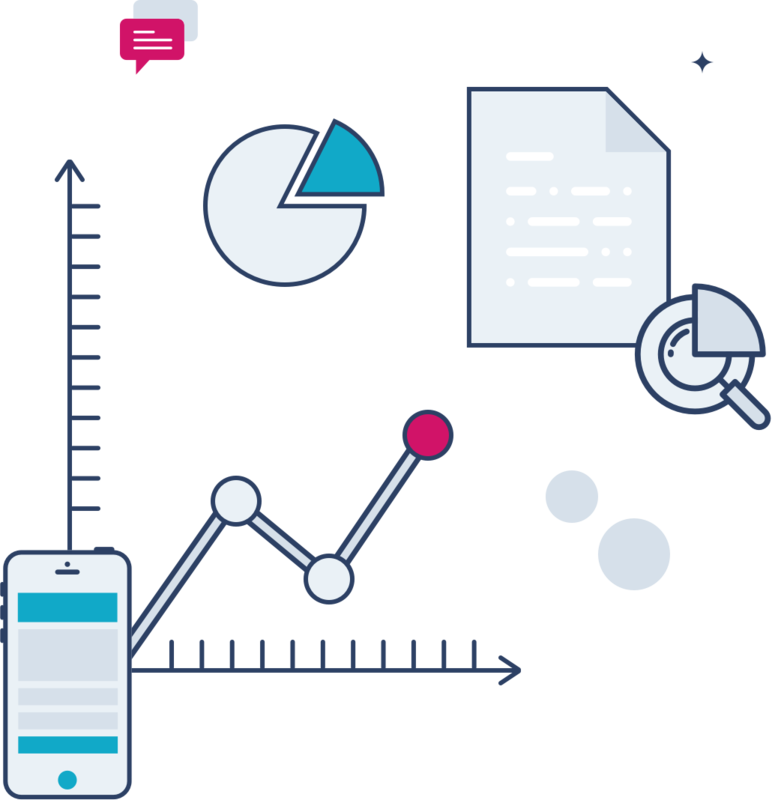 Data Analysis, Reporting and Tracking are crucial to assessing the success of your marketing activity in helping you achieve your business goals. Reporting on a regular basis allows us to determine what further optimisations can be done in order to bring you the best return on your investment possible, in line with your goals and needs. We are Google Analytics experts, and we manage the process from the very beginning. We can help you to better understand your audience and assess your website’s performance. By looking at what devices users are on, how long they are staying on each page, what queries being used on search engines lead to your business, and many other relevant metrics, we can turn data into insights. We look at where users are coming from (paid campaigns, organic, direct, referral, etc) and use appropriate tracking to identify where you should focus your marketing efforts. Through Google Tag Manager, we are able to track actions on your website, such as phone calls and form submissions. As someone explores your website we can track their movement in real-time, giving us valuable insights into how people interact with your site. The team at Together Digital will constantly be monitoring your Google Tags to ensure they are working properly. Generate leads for your business with Google Adwords and Bing Ads. Develop a content marketing strategy that gives your business a genuine competitive edge. Increase brand awareness, engage customers and drive revenue. Social media marketing is all about positioning your brand to get the most exposure. Outline any possible improvements, challenges and opportunities for your business.